The United Nations Security Council has unanimously approved a new resolution, banning North Korea’s textile exports and capping its oil imports following Pyongyang’s sixth nuclear test conducted last week. 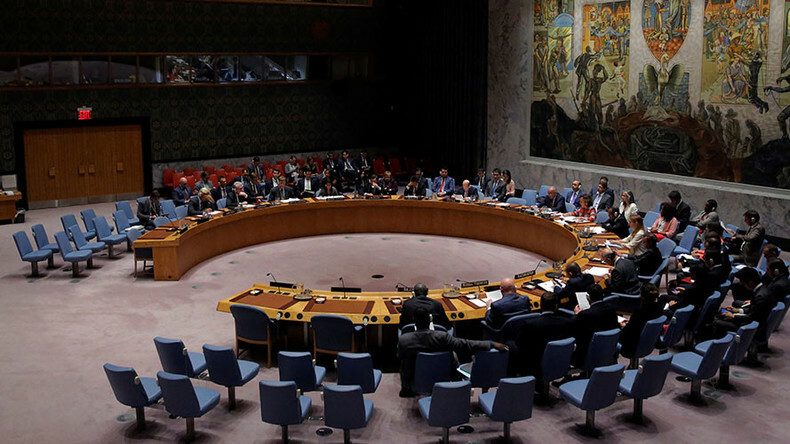 The UNSC resolution was passed Monday after Washington agreed to revise the draft to accommodate the positions and concerns voiced by Beijing and Moscow. Following a series of behind-the-scenes negotiations Sunday, diplomats agreed not to ban oil exports into North Korea. 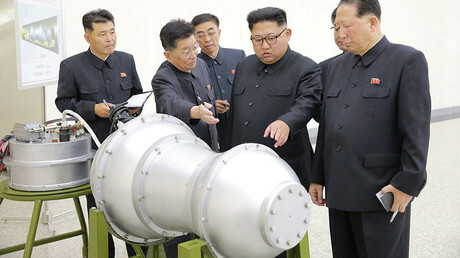 Instead, the ninth set of restrictive sanctions against Pyongyang, unanimously adopted by the 15-member UN Security Council, following North Korea's sixth nuclear test earlier his month, authorized a cap of 2 million barrels a year of sales of refined petroleum products to North Korea, Reuters reported. The sanctions also place a cap on crude oil exports to the communist regime at current levels. The UNSC also placed a ban on the country's textile exports, North Korea's second-biggest export, totaling $752 million, according to data from the Korea Trade-Investment Promotion Agency. Chinese and Russian negotiators have also managed to persuade the US delegation not to impose a travel ban or asset freeze on Kim Jong-un. "We are done trying to prod the regime from doing the right thing,"said US UN Ambassador Nikki Haley. "We are now trying to stop it from having the ability to do the wrong thing." Japan's UN mission called the latest resolution "an urgent call for North Korea to change its behavior." The French UN mission described the new set of sanctions as an "antidote [which will] pave the way for a political solution" to the Korean peninsula crisis. 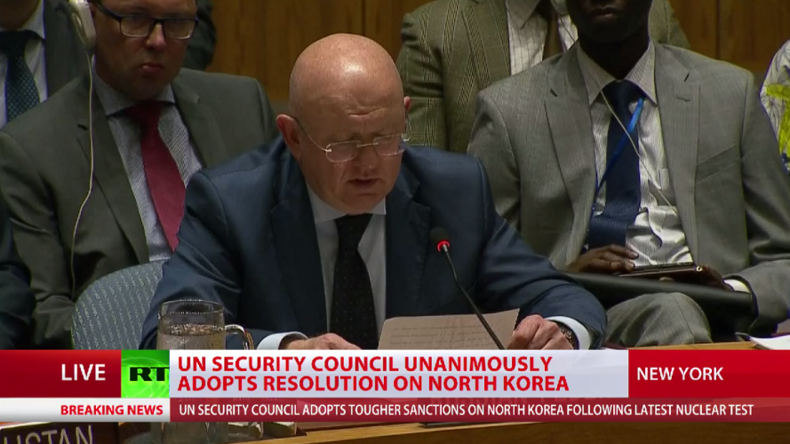 Russia’s Ambassador to the United Nations Vassily Nebenzia told the Council that Moscow “doesn’t accept the North Korean ambition to gain the status of a nuclear power, and has backed all the UNSC resolutions demanding a stop to Pyongyang’s missile and nuclear programs in the best interests of de-nuclearization of the Korean peninsula. However, Russia doubts the sanctions' ability to hit the intended target, the Ambassador added, saying that “financial and economic measures of pressure on the DPRK leadership are almost exhausted, and further restrictions can amount to an attempt to strangle the country’s economy, impose a total blockade, and provoke a deep humanitarian crisis. The “fact that the Russian-Chinese initiative was underestimated was a huge mistake,” Nebenzia stated, referring to the so-called “double-freeze” proposal. "We will continue to insist on its consideration by the UN Security Council,” he added. Just ahead of the Security Council meeting, the North Korean foreign ministry warned it will be forced to retaliate using “ultimate means,” should stricter sanctions follow. “In case the US eventually does rig up the illegal and unlawful 'resolution' on harsher sanctions, the DPRK [Democratic People's Republic of Korea] shall make absolutely sure that the US pays due price,” the ministry's statement read, according to the state-run KCNA news agency. “The DPRK is ready and willing to use any form of ultimate means. The forthcoming measures to be taken by the DPRK will cause the US the greatest pain and suffering it had ever gone through in its entire history,” the statement added. Russia and China have been calling for a peaceful resolution to the Korean crisis, urging both sides to avert provocations. While condemning North Korea's nuclear ambitions, Moscow and Beijing are pushing for the so-called double freeze initiative that would see North Korea suspend its missile and nuclear tests in exchange for South Korea and the US dropping their joint military exercises. The US has rejected the proposal, asserting that its own exercises are legal, unlike Pyongyang’s, which are subject to existing international sanctions. "It is clear that it is impossible to solve the problems of the Korean peninsula by sanctions alone and pressure," Russian President Vladimir Putin said at the economic forum in Vladivostok following talks with South Korean President Moon Jae-in last week.